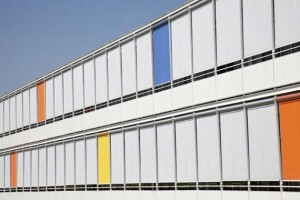 The Antares shading system is designed to be installed in external applications for shading of both domestic and commercial buildings in horizontal and vertical positions. Installation on pergolas, conservatory roofs, glass facades, skylights, windows, homes or shopping centres will help to control heat gain and natural light at the touch of a button. 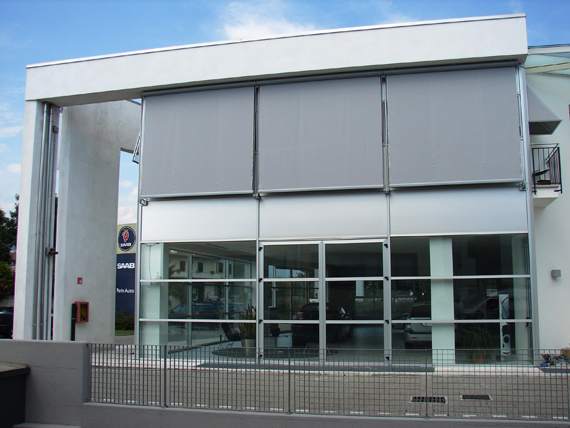 Thanks to its unique tension system the high strength belts and integrated springs in the front profile of the Antares fabric tension system ensures the tension of the fabric at any position, which makes the awning remarkably wind resistance. The awning system runs on guides and retracts into a steam line head box. The Antares can operate either horizontally or vertically installed, as well as upside down. Stainless steel brackets and fixings coupled with high grade powder coated aluminium profiles provide a premium finish for any project.